Should I Remove My Wisdom Teeth in Torrance? Wisdom teeth extraction is one of our more popular procedures with young adults. Usually removing wisdom teeth is an elective process and one that needs careful consideration to avoid the long-term impact. The reason most people have wisdom teeth removed before they even grow in, is because of the possibility it could cause impacted teeth. These growing teeth are molars which means they are four large teeth on the upper and lower sets of your teeth. Often times the issue will be there is not enough space for the teeth, or are growing in at an angle that will cause negative effects to the rest of your mouth. When both of these are true, the growth of the new molars will cause the rest of the teeth to shift around in order to create space for the growing wisdom teeth. This can create issues if you have had orthodontics and your teeth are already carefully straightened. If you are considering orthodontics, your dental professional might advise you to carefully consider the benefits of wisdom tooth extraction. The process is relatively easy and with sleep dentistry you will never know the pain that people experienced as little as a few decades ago. The procedure isn’t like how you envision in a Wild West movie where a guy walks into a dentist drinking a bottle of bourbon. At the same time the dentist is preparing his set of pliers and warming up his biceps to pull them out! We use a careful, invasive process that will extract the wisdom teeth from the jawbone. The recovery process is very quick and simple. Most of our patients are able to return to work or school in just a few days. In addition to providing dental advice for your situation regarding wisdom teeth, we can counsel you on the long-term avoidance of gingivitis and gum disease. The cause of this disease is simply a buildup of bacteria. The buildup can be avoided with routine teeth cleanings and proper education on brushing and flossing habits. If you are currently experiencing receding gums, receding gum treatments can be addressed by discovering what their cause is. If the receding gums are due to Bruxism or TMJ, using a night guard will most likely reduce or stop the receding guns. But in the case that receding gums are due to gingivitis, you can stop the affects by having a routine teeth cleaning, scaling, and perhaps with fluoride treatment. 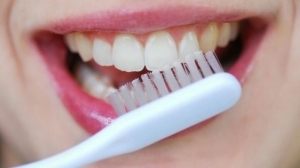 The most important key to dental health is preventing the development of advanced diseases. This is done by preventing the spread of bacteria and tooth decay. Even the best, most adamant brushers and flossers sometimes fall victim to bacteria growth within the gums and in between teeth. Any dental insurance will highly recommend that you take full advantage of your benefits every year and maximize your visits to the dentist for teeth cleaning, x-rays and oral examinations. Introducing children to a pediatric dentist in Torrance who will teach them the methods to care for and prevent these diseases will be the best thing you can do for your family members. If you have any questions about our preventive approach to caring for your mouth or any other of the procedures we have mentioned on our website do not hesitate to send us a note through the contact form on the About Us page. We look forward to meeting with you!